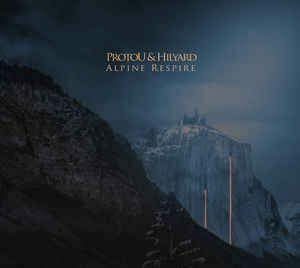 Background/Info: “Alpine Respire” resulted from the common efforts between Cryo Chamber artist Sasha Cats (aka ProtoU) and Bryan Hilyard (aka Hilyard). It also is a collaboration between artists from different continents. Ukrainian based ProtoU has already released two previous collaboration albums together with Dronny Darko and Alphaxone while Hilyard just released a split work with Elam. Content: “Alpine Respire” leads us throughout familiar dark sound spheres accomplished with numerous field recordings and some impressive blasting tones. The field recordings definitely are one of the most essential and noticeable elements of the work. + + + : If you’re into visual music, the field recordings running through “Alpine Respire” will for sure bring your imagination into action. 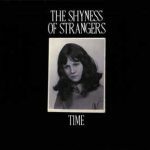 It creates an experimental exposure, which has been joined by dark-ambient atmospheres. I here especially enjoyed the impressive, vibrating and overwhelming dark tones. The final cut is more into harsher noises and is a great final cut. – – – : The field recordings have a real important impact on this work and that’s why it sounds maybe a bit too into experimentalism. The tracks are missing a climax and feel a bit monotonous after a while. Conclusion: ProtoU and Hilyard invite their audience to embark for an obscure trip on an endless sonic ocean, which will appeal for all of your senses. Best songs: “Alpine Respire”, “Elwha Snowfinger”. 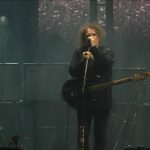 'The Cure in Lodz 2016' – a multicam live video film made with... smartphones! Here are the first promo videos!